There are lots of car screensavers available on oldclassiccar.co.uk, this one is specific to Triumph TR sportscars, from TR2 through TR3, TR4, TR5, TR250, and TR6. Apologies to TR7 & TR8 fans out there but I didn't have a good clear photo of a 7 or 8 to use. 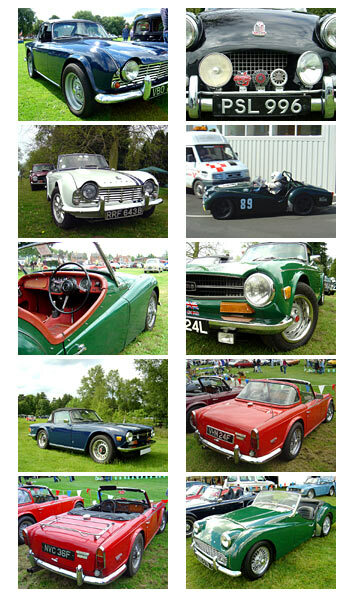 The screensaver contains ten photographs of various TRs spotted at public car shows & events in recent years. All the cars were in fabulous condition, and a credit to their methodical owners.